[S1585] 1900 US Federal Census, Middlebury, New Haven County, Connecticut, digital image Ancestry.com ; National Archives micropublication, William H McCance head of household, roll T627_517, enumeration district 5-113, page 3A. She married Howard Lewis Sargent, son of George Lewis Sargent and Alice Bessie Forbes, on Friday, 24 Dec 1926. Louise Sargent Sill passed away October 2, 2011 in Fallbrook, California. Born in Los Angeles, California on December 12, 1927, Louise attended Marlborough School and Colorado College. After completing her degree from Wright-McMahon, she became an Executive Secretary at Carnation Company. Always lively and fun, Louise was a wonderful friend. She was a part-time dance instructor, loved her garden, was a wonderful cook and enjoyed playing games. At the center of her life was her family to whom she was a caring wife and mother. Louise is survived by Chuck Sill, her husband of 55 years, their 3 children, Leslie, Lisa, Charlie, and grandson, Christopher. Donations may be made to the Fallbrook Animal Sanctuary. [S3739] Louise Sargent Sill, Los Angeles Times , Los Angeles, CA, 16 Oct 2011, Obituary notice, published in the paper, viewed on-line. [S3740] Carol Demmers, California Council for the Humanities, California Stories Initiative, Years of Valor, Years of Hope, Tulare County and the Years 1941-1946, Tulare County Library, The Friends of the Tulare County Library and the Tulare County Historical Society, Interviews in 2003-2004, Carol Demers interviewed Margaret Van Deventer, http://www.tularecountylibrary.org/yov/VanDeventer,Margaret.html, viewed Sep 2012. [S263] Interview with family member at George Grove's party held Oct 1998, Chamberlin Farm, West Newbury, Vermont with Linda Sargent Reinfeld. She married Charles Forbes Sargent, son of George Lewis Sargent and Alice Bessie Forbes, on Saturday, 7 Oct 1922. Elizabeth and Charles were divorced b 1949. [S285] 1930 US Federal Census, New Haven, New Haven County, Connecticut, digital image Ancestry.com ; National Archives micropublication, Bruce Fenn head of household, roll 276, enumeration district 48, page 2A. [S4850] 1940 US Federal Census, Danville, Vermillion County, Illinois, digital image ; National Archives micropublication, Frank Hark head of household, roll T627_898, enumeration district 92-51, page 6A. [S327] Obituary, New Haven Register , New Haven, CT, 30 Sep 2001. [S5845] Anne Kidd, e-mail message to Linda Sargent Reinfeld, located on the computer of Linda Sargent Reinfeld, received 30 Jul 2014. [S5846] Dorothy Sargent Bauer Cornish, Legacy/the Albany Times Union website obituary from online newspaper, 1 Feb 2012 obituary notice ,www.legacy.com. [S328] Letter from Susanna Nettleton to Linda Sargent Reinfeld, ,. [S26] Family data, family photo. 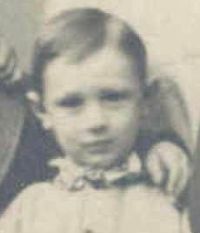 Charles Forbes Sargent Jr was born on 22 Mar 1932. [S578] Maura Sargent, e-mail message to Linda Sargent Reinfeld, located on the Home of Linda Sargent Reinfeld, received 15 Apr 2009. [S4978] Gene Nilsson Johnson, Legacy.com obituaries website web site for obituaries obituary notice ,www.legacy.com. 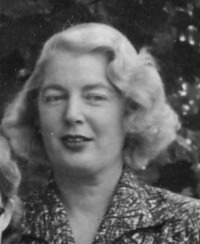 Ellen Smedley was born in 1915. 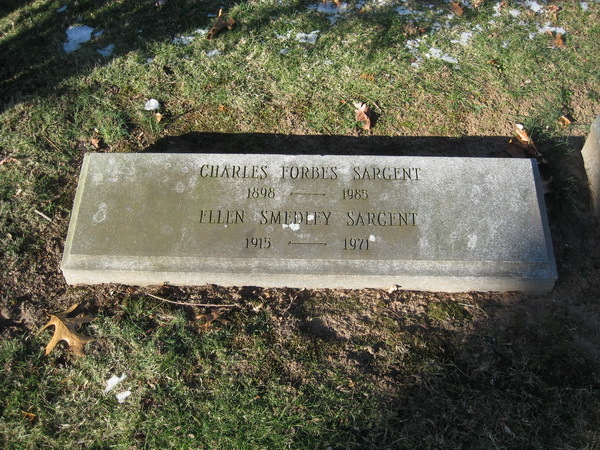 She married Charles Forbes Sargent, son of George Lewis Sargent and Alice Bessie Forbes, on Wednesday, 2 Nov 1949 in Southbury, Connecticut. Ellen Smedley died in 1971. [S222] Evergreen Cemetery Office, New Haven, CT , plot listing. [S459] Margaret Sheffler, family tree titled "BANFILL-BUCK-HAWKINS-PIKE-PERRINE", published by Ancestry.com, wc.rootsweb.ancestry.com, from database named mscheffler, updated Jul 2007, viewed Jan 2008. 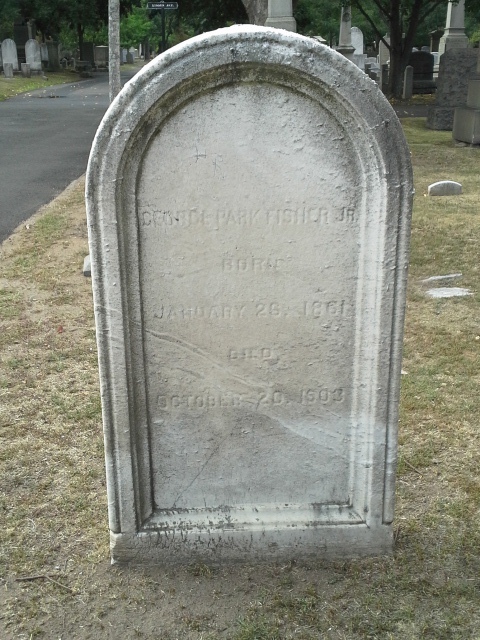 [S5349] Find A Grave: Grove Street Cemetery, New Haven, Connecticut, George Park Fisher Jr, created by DWW, added Sep 2015, memorial number 152090959. 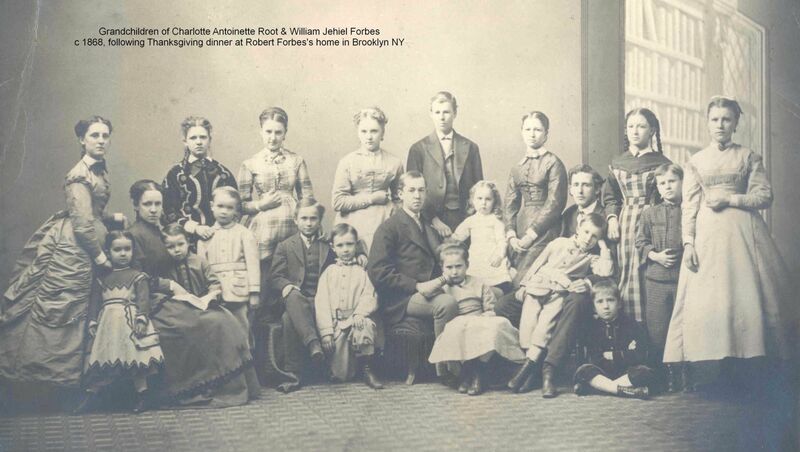 [S5600] Clivekconnor, family tree titled "Hulick Family Tree", published by Ancestry.com, www.ancestry.com, from database named 14892211, viewed Nov 2017. George Wilson Grove was born on 6 Sep 1894, in Philadelphia, Pennsylvania. 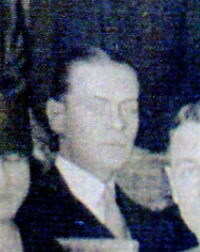 He married Barbara Louise Sargent, daughter of Russell Sargent and Margaret Berrien Motte, on Saturday, 10 Jun 1922 in New Haven, Connecticut. George Wilson Grove died on 13 Jun 1941 in Basra, Iraq, at age 46. [S261] George Grove, interview with Linda Sargent Reinfeld, Oct 1998. [S261] George Grove, interview with Linda Sargent Reinfeld. Michael Motte Grove was born on 9 May 1928, in New York City, New York. [S3184] Michael Motte Grove, United States Obituary Collection, online database (digitized by Ancestry.com Operations Inc, 2006) from the the Providence Journal , obituary published 27 Dec 2003. Ludwig King Moorehead was born on 21 Jan 1896. He married Barbara Louise Sargent, daughter of Russell Sargent and Margaret Berrien Motte, on Saturday, 1 Sep 1934 in Concord, Massachusetts. Ludwig King Moorehead died on 12 Jan 1978 in Princeton, New Jersey, at age 81. [S1622] 1940 US Federal Census, Hartford, Hartford County, Connecticut, digital image ; National Archives micropublication, Alfred Pulford head of household, roll T627_508, enumeration district 2-235, page 7A. [S1218] The New York Times, New York City, NY, marriage notice on-line archive, 1931. [S4227] Dan Harr, Major Dexter Shareholder Backs Bid of Hostile Suitor Hartford Courant Hartford, CT, 5 Jul 2000, online viewing at www.courant.com 1928. [S418] Connecticut City Directories, online image database transcription, digitized by Ancestry.com Operations Inc, 2005 Ancestry.com . (Original publication: NEHGS. )P 1016. [S1302] Connecticut Death Index, 1949-2012, online index database, digitized by Ancestry.com Operations Inc, 2003 www.ancestry.com. (Original publication: Connecticut Department of Health Connecticut Death Index, 1949-2012, Hartford CT: Connecticut Department of Health).